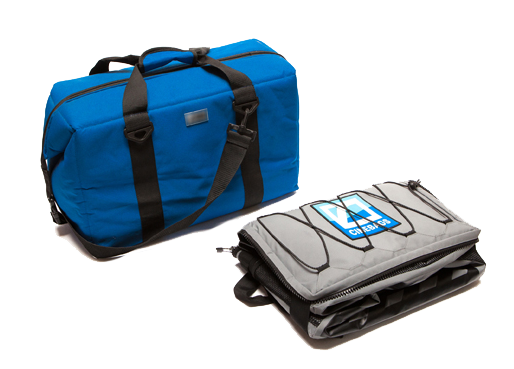 Meet the latest revolution in padded camera bags designed for the underwater photographer! 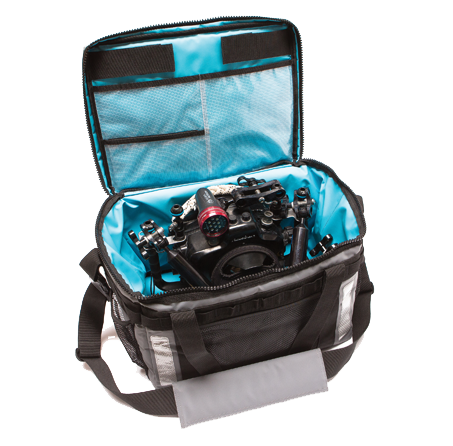 Cinebags CB70, Square Grouper is a unique bag designed to transport your underwater gear fully assembled while with ease. Its the perfect solution for traveling with your gear for local dives, between a hotel, dive shop, etc and your dive boat. This bag offers a large padded water proof interior, which protects your fully assembled set up, as well as doubles as a rinse tank when none is available for you. In addition if features storage pouches for your accessories or other gear. Most importantly this bag folds up flat for ease of packing, making it a viable tool for international travel unlike other cooler bags that remain large and bulky when packed.